The Terracotta Warriors is in town!! I always been fascinated with ancient histories and artifacts since High School days. When Te papa Museum launched their Mummy exhibit I was there to witness the amazing cultures and artifacts of Ancient Egypt. 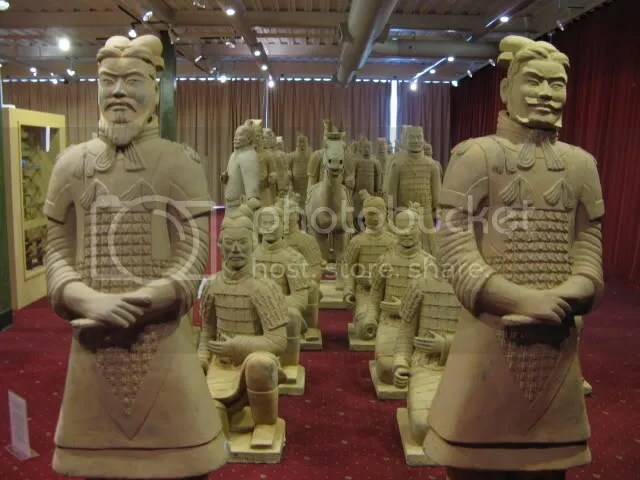 The other day I went to St James Theater in Wellington to check the on going exhibition of Terracotta Warriors of Qin. I was amazed with the Terracotta Warriors while I’m standing in front of the two generals I remember a scene from the movie ” The Mummy: Tomb of the Dragon Emperor” I feel like I’m Brendan Fraser and ready to battle with Emperor Han. 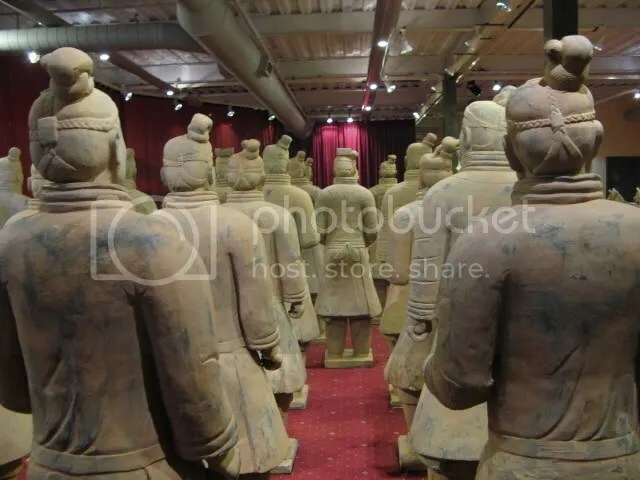 According to Yin, The exhibition features a spectacular display of more than 60 of the famed Terracotta Warriors of Qin, made by professional artisans from the home of the original museum in Xi’an, China.